Frank Lampard has made a promising start at Derby but the window for former star players to impress is small, writes Adam Bate. The sight of Frank Lampard managing a team from the technical area at Stamford Bridge will be enough to raise a smile from Chelsea supporters and leave many more football fans wondering whether this will be the first of many appearances there. Could this one-time world-class midfielder be starting out on the journey to becoming a world-class coach too? Chelsea's record scorer will be trying to outwit his old club for a place in the quarter-finals of the Carabao Cup having already seen off his former boss Jose Mourinho in a memorable win at Old Trafford in the previous round. Back-to-back victories for Derby County over Manchester United and Chelsea would surely be too much even for Lampard's script writer. He has been humble in the build-up just as he was before facing Mourinho. An intelligent man, he is aware not just that his team are the underdogs but that he has much to prove in management. Lampard is yet to acquire the UEFA Pro Licence and he is still adjusting to the rhythms of life in the Championship where Derby currently lie sixth in the table. "Every manager you speak to is on a constant learning curve," he acknowledged after a 2-1 defeat to Millwall earlier this season. "If you're not opening your ears and your eyes every day to learn, then you're standing still, so I'm straight into that. I'm watching loads. I'm watching opposition, I'm watching other games. I've always done that. I've always lived it." But while Lampard will want to see this as a process - one where he will look to learn from his mistakes - there is no second chance to make a first impression. That is particularly true for the star player turned manager who walks into the dressing room with a formidable reputation on day one. It is a reputation that is theirs to use - or to lose. History would suggest that it can be a potent weapon initially. Just consider the list of iconic midfielders who have enjoyed swift managerial success down the divisions. Bryan Robson was player-manager at Middlesbrough when he won promotion at the first attempt, sweeping the whole town along for the ride with him before eventually losing momentum. Roy Keane was Robson's successor at Old Trafford and he too won promotion to the Premier League at the first attempt, turning Sunderland around in emphatic style. The players were inspired by him. The whole city was inspired by him. He raised standards and, briefly, it hardly seemed unrealistic to assume that managerial greatness beckoned. But Keane's magic wore off as the Brian Clough homage wore thin - his flush seemingly busted as a league manager by the time he was sacked by Ipswich. Incredibly, Keane was only 39 at that point, younger then than Lampard is now. There is a trend among these iconic former players. The window for their success in management can be small. Republic of Ireland boss Martin O'Neill recently made the point that many of his squad had posters of his assistant Keane up on their walls when they were children. But Keane is now 47 years old. Increasingly, players are going to form an opinion based on his achievements as a coach not on his achievements as a player. The cachet has a time limit. There is a trite line about how a coach's own playing career counts for nothing once the cones are being put out. It's not quite true. The great player starts with respect. Only his subsequent actions erode it. That can happen quickly if it is Tony Adams struggling to impress at Wycombe. It can grow if it is Pep Guardiola wowing the youngsters at Barcelona. The signs for Lampard are promising. Some of the tales are typical. 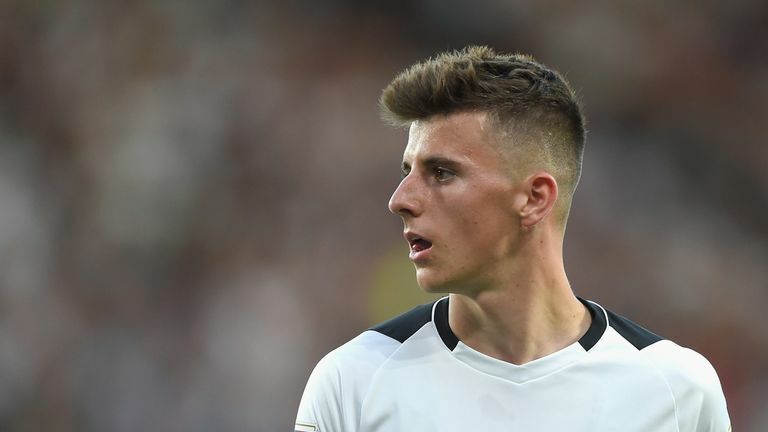 Harry Wilson has enthused about the gaffer's world-class finishing in training and on-loan Chelsea midfielder Mason Mount is relishing the chance to work with his hero. But more encouraging for Lampard's long-term prospects might be the praise from fellow Championship coaches. Leeds head coach Marcelo Bielsa described Lampard as having a "good taste for attacking football" while Aston Villa boss Dean Smith noted how his Derby counterpart had tweaked the team's formation to put a greater emphasis on a passing game. "He's changed the system slightly," said Smith. "They're more of a possession-based team than they were." The statistics support that view. Derby rank among the top four teams in the Championship for passes, having not even been among the top 10 passing teams last season. It is perhaps no surprise either that they have had the most shots from outside the box. Lampard has made his mark but Derby are on the periphery of the play-offs nevertheless. It is a career that could go either way but beating Chelsea would help. With Lampard up against a coach 19 years his senior, it is tempting to think that he will have time to mature into a future Blues boss. Sarri's career is the slowest of slow burns, after all. But the lesson of history is that former stars must deliver quickly or risk diminishing returns down the line.